If your iPod playlists are a bit stale and sound like a time capsule of Billboard’s top hits from 1987 and you’d like to freshen things up a bit but are at a loss of where to go – here’s one blog that I’ve found to be pretty good at pointing readers to new up-and-coming artists: OCMD (Obsessive Compulsive Music Disorder). OCMD is a simple, straight-forward blog from a SF Bay Area woman who has her finger on the pulse of new, fresh music with an alternative sensibility. Sure there’s Pitchfork and Stereogum and hundreds if not thousands of individual blogs but I like OCMD’s personal approach which taps into the author’s “obsessive and compulsive” love for music versus the ironic and hyper-critical views of the bigger blogs. Really good bands such as Speck Mountain, Starf**ker and White Rabbits are examples of the artists OCMD uncovers. Click here to get to OCMD’s Best of 2009 list (which is for the first half of the year) highlighting artists that are crafting amazing music. 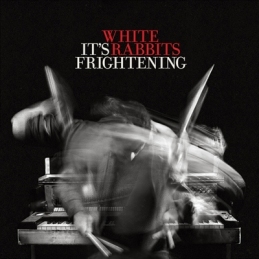 I’ve become a fan of White Rabbits recently discovered while checking out the 2009 best of list. My song of the moment is “Salesman”. The main riff could be something off of Radiohead’s “The Bends”. Love it. 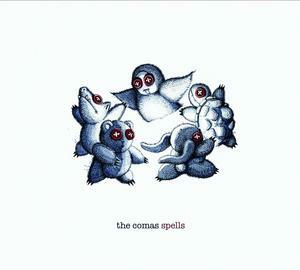 While we’re talking about great tunes, check out The Comas. Although they’ve been around for about 1 0 years (so not very new) their most recent album (from 2007) The Spells is track after track of tight, well-crafted indie pop. The song “Red Microphones” is also getting a lot of playtime these past few weeks in my car, iPod, office, etc. If you’re a fan of Weezer, Fountains of Wayne or backing-up even further, Apples in Stereo – you will like this.